Why The 4 Series 4TR Treadmill? As well as the commercial build quality and capacity to take up to 223kg in weight, it's the powerful 3HP motor, the speed range up to 12 mph and the incline that offer so much. 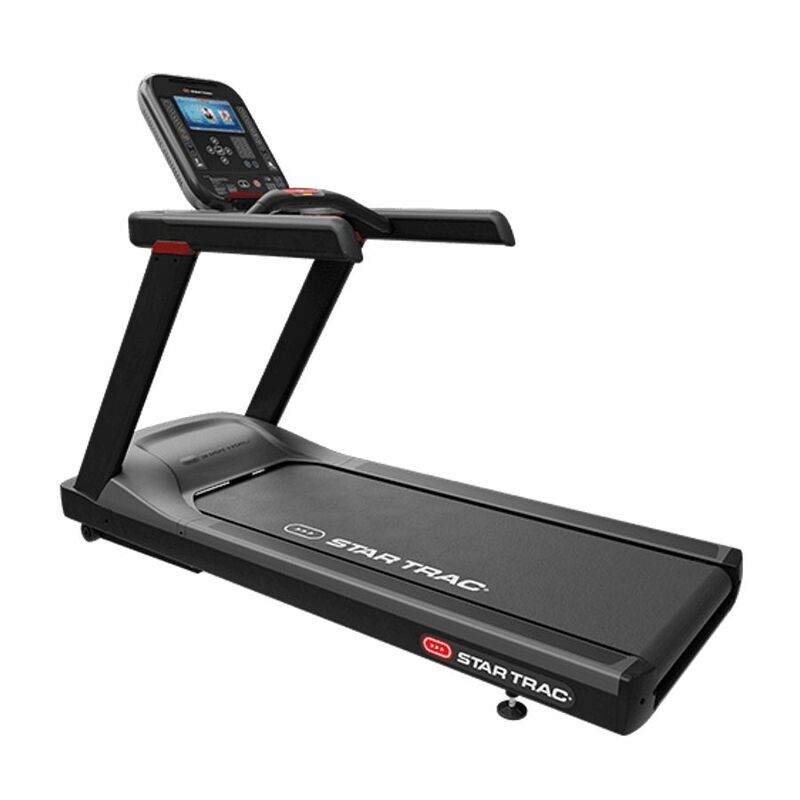 A very high quality running machine that will serve you well. The full commercial range from Star Trac is labelled the 8-Series, this 4-Series is however no poor relation. The 4-Series comes with a wide of range of features that other manufacturers reserver for their full commercial versions, even though it's a light commercial running machine. As well as the wide belt, at 55.5cm wide, and a low step up height of 18cm, the features that really stand out include the fully active colour LCD touchscreen console that gives you access to the running metrics, heart rate readings and of course the programs and workouts that you can use during your session. There's also the quick select adjustment keys for speed and incline as well as the console viewing options.